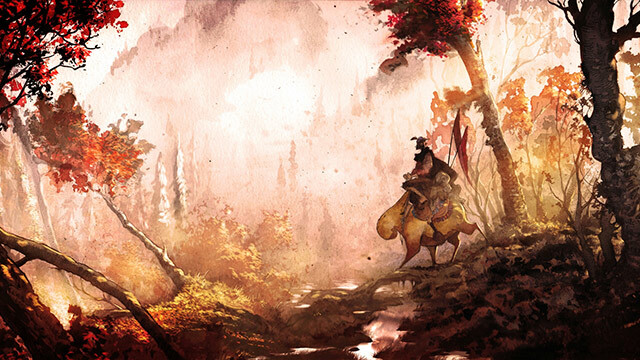 King’s Quest: A Knight to Remember is a new re imagining of the Kings Quest series. While it is an adventure game like the previous games in the series, the interface is not fully point and click (the PC version only uses point and click for the dialogue and first person scenes). 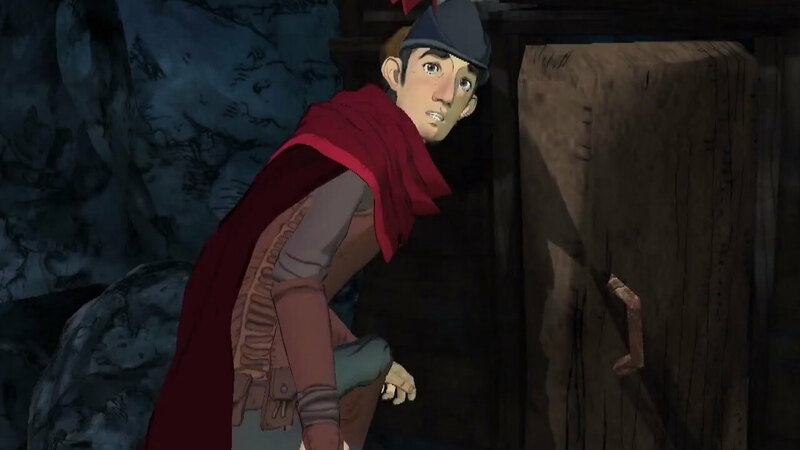 King’s Quest is a collection of 5 different chapter releases, each focusing on an untold tale in the main character Graham’s past. As with the classic King’s Quest game from 1984, the story follows an excitable Graham, who’s working his way toward being a knight (and eventual King). The story is narrated by Grahm as an old man, recounting his youthful adventures to his granddaughter Gwendolyn. 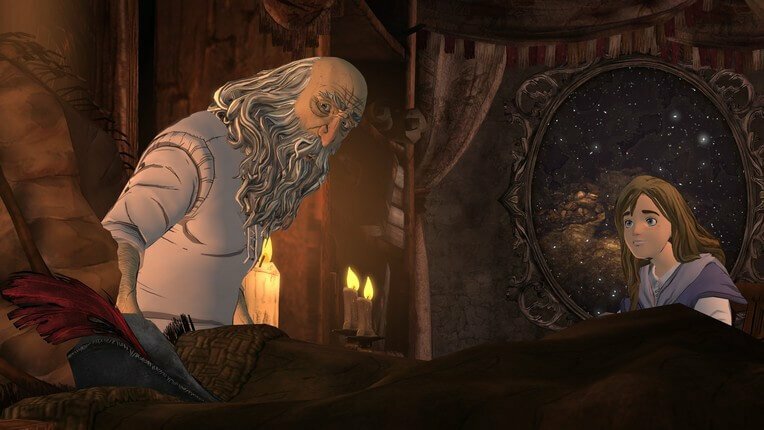 The way you play King’s Quest determines the tale Graham tells, which affects the advice he gives to Gwendolyn. The games style stays true to its fairy tale theme, with characters and the world taking on a whimsical and enchanting appearance. The textures for the game were painstakingly painted by hand (and then modeled in 3d), which was a bold decision by the developers. The game looks and feels like a storybook or a Disney animated film. With so many games trying to push the envelope in terms of realism, it is refreshing that a developer went back to its roots to create a different kind of game. As the art director says, the art was designed to “be in the spirit of the old Kings’ Quest“, which they accomplished in spades. 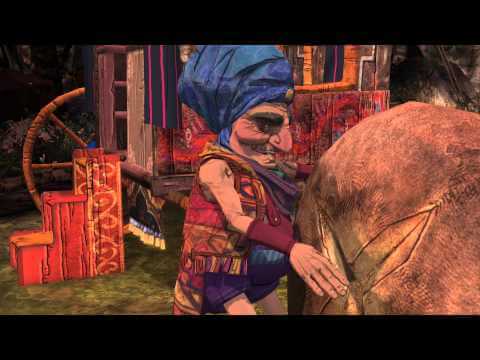 In my opinion, one of the greatest elements of King’s Quest is the character design. The characters in the game are charming, each with their own quirks and personalities. From the zany merchant you meet on the side of the road, to the elusive Achaka, whose limited English allows him to only say “Achaka” (accompanied with his version of sign language), to the haughty and entertaining Whisper, the characters inspire Grahm to achieve the impossible. 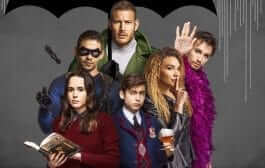 While some might think that the characters are cliche (potentially considered Disney clones) and cheesy, I would argue that each has enough individual personality to overcome trope accusations. After all, how many game characters have squirrels hidden under their armor like Acorn? And how many fantasy tales have trolls that are actually part of the bridge itself, rather then simply the toll collector? And as you progress through the story, the majority of characters change as they try to overcome obstacles (both personal and external), some of which are major, and especially affect Grahm. This helps add emotional depth to the game, and creates a unique experience that I think is different than many other games. Another important note about the character design is the incredible cast selected for the game. The game features high caliber actors, such as Christopher Lloyd (Back to the Future), Tom Kenny (Spongebob, Adventure Time) and Zelda Williams (Legend of Korra). The actors definitely enhance the experience of the game, as they all play their roles very well and immerse the players in the fantasy setting. And who doesn’t love Christopher Lloyd?! Just as this story combines old and new themes, so does the game style, which is a cross between modern episodic adventures set on a linear path and old-fashioned adventures that force players to do a lot of exploring. The game can feel a bit too linear at times, but choices remain at the fore front of the game, allowing the player to create their own adventure and keep exploration (although in a somewhat linear environment) as an imperative. 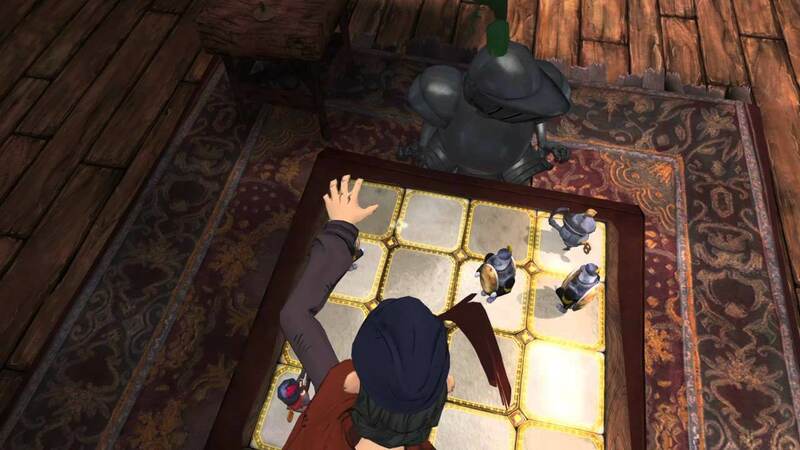 The core of King’s Quest’s gameplay revolves around acquiring items through exploration, then figuring out how these items can be used to solve puzzles. For example, one of the first major choices you make involves the player seeking a wheel for a merchant in order to get a ride to the knights tournament. While seeking for the wheel, you have the option of taking items from a town that can act as a wheel, such as a shield, a large piece of bread in the shape of a wheel, and a table top. After you take your chosen wheel, the player has the option of leaving a tip in lieu of paying a merchant since they are all at the knights tournament parade. Although there are no major consequence for not leaving a tip, it does affect minor dialogue and enables the player to choose if they want to play as a true hero, or a potentially flawed one. 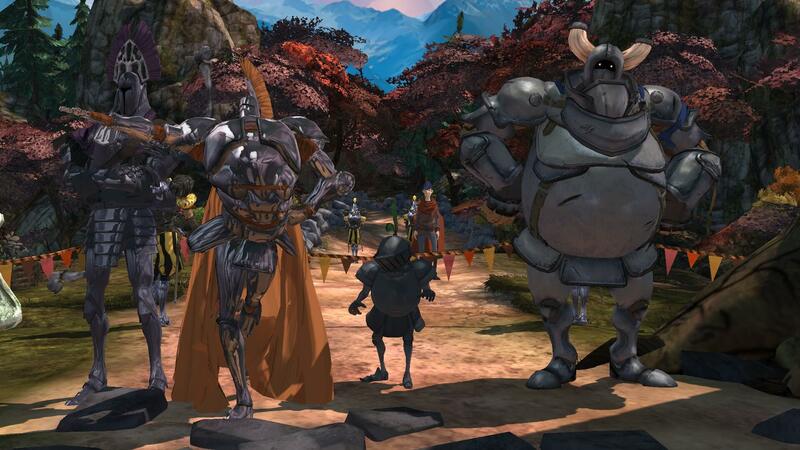 There are also various “duels” throughout the game, which constitute the larger tournament of hopeful knights. 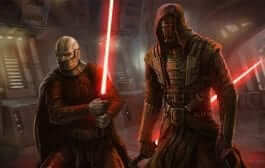 Each duel tests different abilities, such as a duel of strength, duel of speed and a duel of wits. Because Grant isn’t especially good at any of those things (ok at best), he has to find various means to overcome his shortcomings. 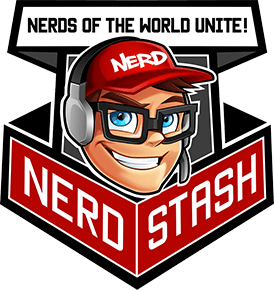 Each duel requires the player to think strategically about how to beat their far more skilled opponent, sometimes using smarts, and more often using fast thinking. I particularly enjoyed the duel of wits tournament, as it not only tests your critical thinking skills but your moral character, giving you the option of cheating or playing honestly. In my opinion, there are very few choose your own adventure games that truly allow you to craft your own character (good vs. flawed vs. bad), such as King’s Quest. Major story-altering choices are rare, but the ones I did encounter gave good opportunities to craft my version of Graham’s story into either that of a hero or a bit of a coward. Others, such as an early decision as to whether to (fairly minimal but large spoiler ahead) kill a dragon, may have much importance for episodes to come (but there’s no way to know just yet). 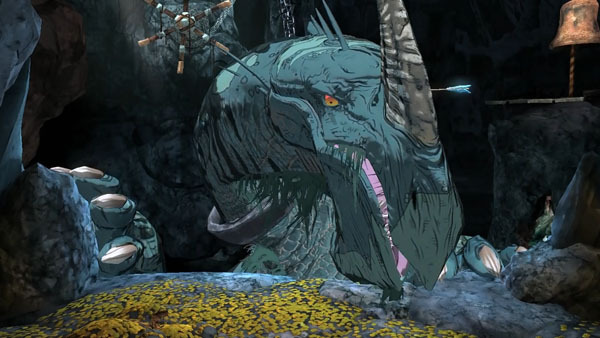 King’s Quest is a phenomenal game that successfully pays homage to its predecessors. While its linear layout may deter some fans from trying the game, I believe that the choice based system and plentiful amount of opportunities to explore more than makes up for it. It is definitely one of the best, if not the best, episodic game I have played. I highly encourage those with children to play the game with them, as it is a game that can be enjoyed by young and old. You can download Kings Quest for PlayStation 4, Xbox One, PlayStation 3, Xbox 360, Microsoft Windows via Steam or Gamestop. King's Quest is an ongoing episodic video game series developed by The Odd Gentlemen, published by Sierra Entertainment and distributed by Activision Blizzard. 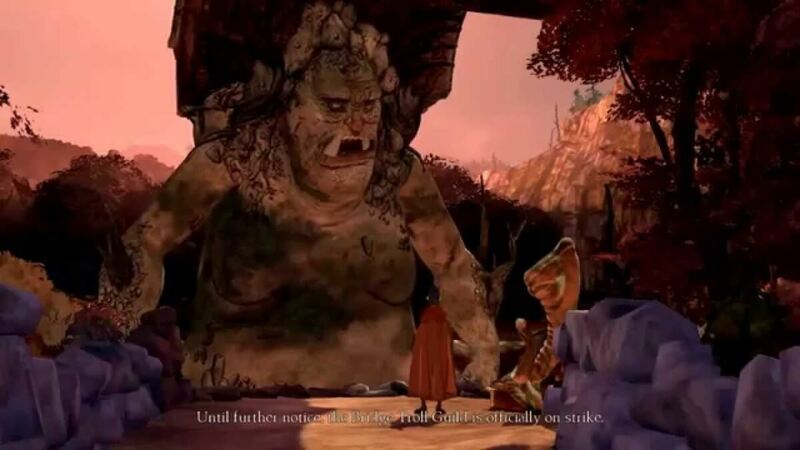 Kings Quest is a phenomenal game that successfully pays homage to its predecessors. While its linear layout may deter some fans from trying the game, I believe that the choice based system and plentiful amount of opportunities to explore more than makes up for it. It is definitely one of the best, if not the best, episodic game I have played. I highly encourage those with children to play the game with them, as it is a game that can be enjoyed by young and old.